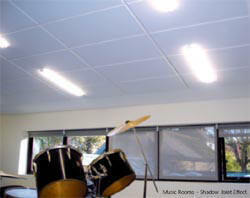 Echosorption sound absorbing ceiling tiles are a lightweight, visually appealing, easy to install solution to reduce noise and reverberation within rooms. Available in any colour as long as its white. 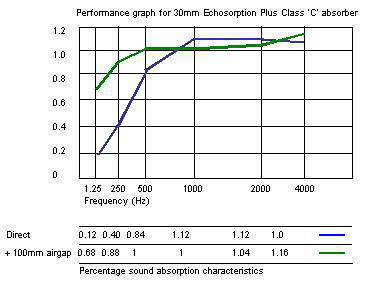 ECHOSORPTION also referred to as Echosorption II are a superior performing stick-on acoustic tile product which are acoustically more efficient and extremely lightweight. These sound absorbing tiles provide a higher sound absorption performance. Echosorption acoustic tiles are particularly effective at reducing reverberated noise in schools, public buildings and conference rooms. 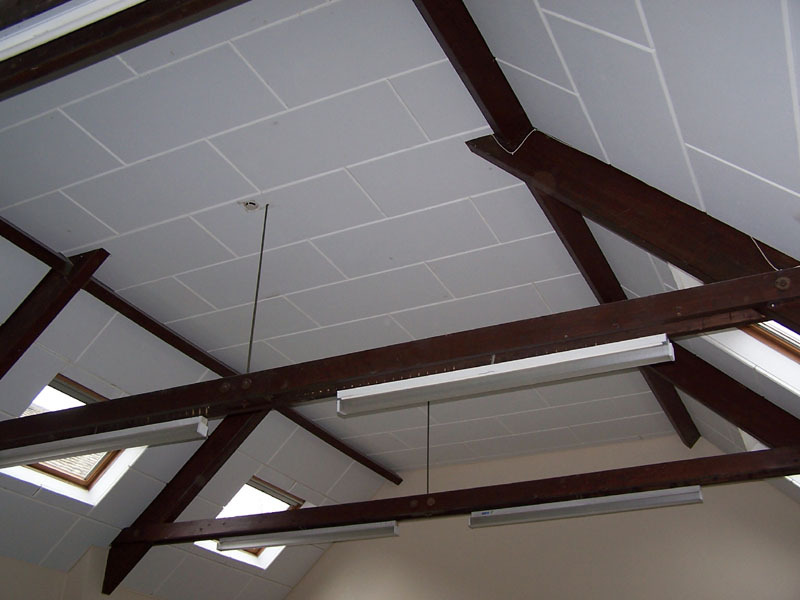 As they are also a Class 'C' absorber they are also suitable for the ceilings of stairways and other common ceiling areas within flats to comply with the latest Building Regulation requirements for sound absorption and for reduced reverberated noise. Ideal for school halls and classrooms, community halls and conference centres. At only 30mm thick, these improved sound absorbing Class 0 non-flammable sound absorbing tiles are ideal for fitting to ceilings with minimum loss of height. Their ease of application and durability make them a popular choice for schools, offices, sports halls, music studios. lecture theatres, multi-purpose halls, interview rooms, shooting ranges and wide range of alternative areas where reverberated sound loss is required. Legislation has now been introduced to control noise and reverberated sound in schools and other public buildings as described in Building Bulletin 93 (BB93) as Part E of the Building Regulations. The Approved Document E also contains guidance on the installation of sound absorbing insulation to common areas of buildings such as found in flats. The easiest way to comply with these new requirements is to fit a Class C performance sound absorber on the ceilings of these areas. The requirement is to fit a Class C sound absorber to cover an area of not less than 50% of the ceiling area in the common area of all floors including stairways. ECHOSORPTION acoustic tiles are a high quality lightweight easy to fix sound absorbers designed for ceilings and wall surfaces. The panels are made up with a sound absorbing acoustic mineral wool core faced with a highly efficient sound absorbing painted surface. The tile is laminated to an aluminium foil backing to enhance stability. The edges of each tile is chamfered so no jointing strips are necessary. The high sound absorbing efficiency of Echosorption is due to the membrane oscillation effect of the product. It is resistant to mild damage and is relatively easy to clean. Our special adhesive is effective for bonding the product to practically any surface.